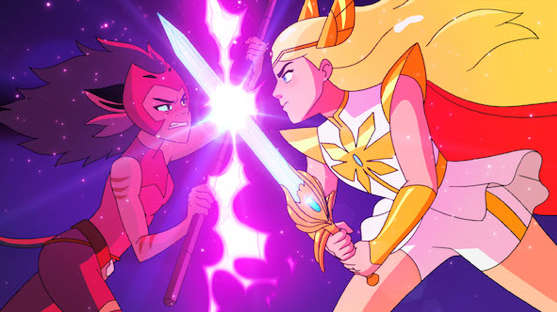 Comic Frontline: She-Ra And The Princesses Of Power - Does It Honor Grayskull? She-Ra And The Princesses Of Power - Does It Honor Grayskull? "For The Honor Of Grayskull... I Am She-Ra!" 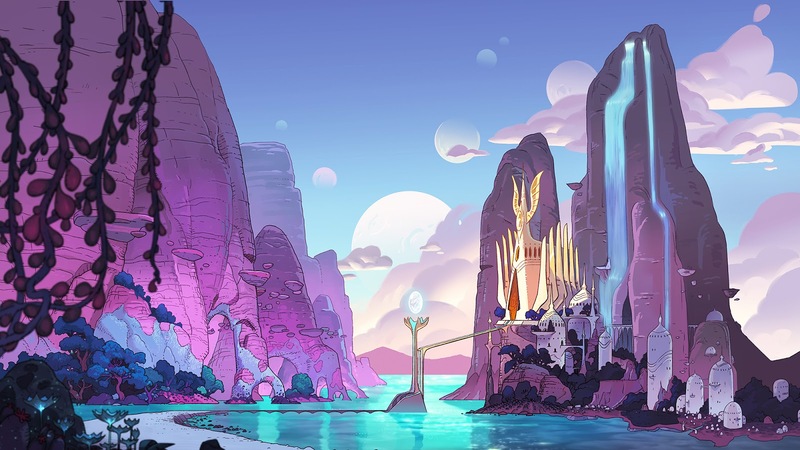 For those who grew up in the '80s, that line brings up images; ones that the new Dream Works Animation SHE-RA AND THE PRINCESSES OF POWER is bringing back in an all new Netflix animated series. But the new animated series is changing those images. For some, this change was met with rejection while others embraced it. We got to watch the show before its November 13, 2018 premiere and we decided to give our thoughts on the first two episodes. 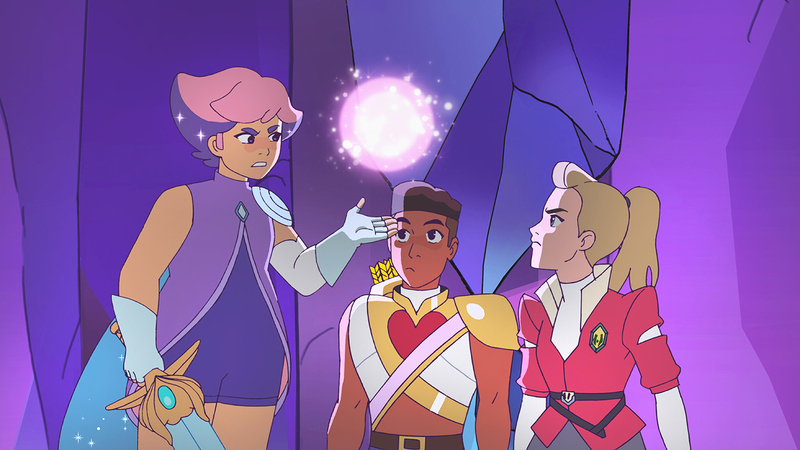 Full disclosure, some of us grew up watching She-Ra: Princess of Power and some of us didn't, so we are each approaching this with a broad range of experience with the franchise. So what did we think? Keep reading! I have to admit, She-Ra and the Princesses of Power took me by surprise. While I was a He-Man and the Masters of the Universe fan growing up, I never really got into She-Ra, except the toys of the Horde, which looked cool. So I wasn’t sure what to expect from this rebooted series and proceeded with caution. Much to my delight, I was hooked within the first ten minutes and couldn’t wait to get to the next episode. 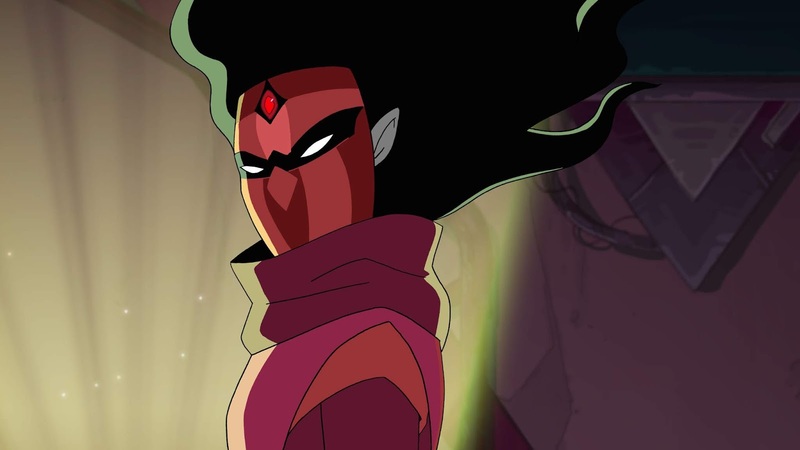 I was able to watch the first two episodes for this review, and the character depth and development, the complex relationships between both the Princesses and the Horde soldiers, and the dilemma Adora faced throughout the opening were handled with great care, and came off better than the original for me. 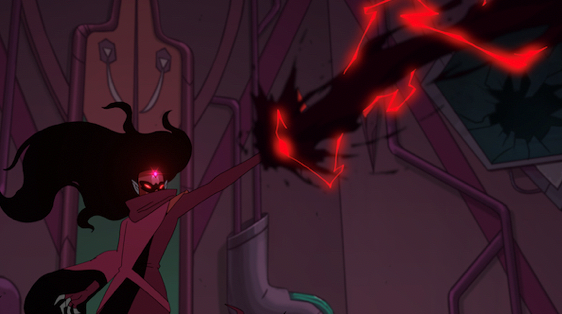 I also love the fact that She-Ra stood on her own here and didn’t need He-Man saving the day. 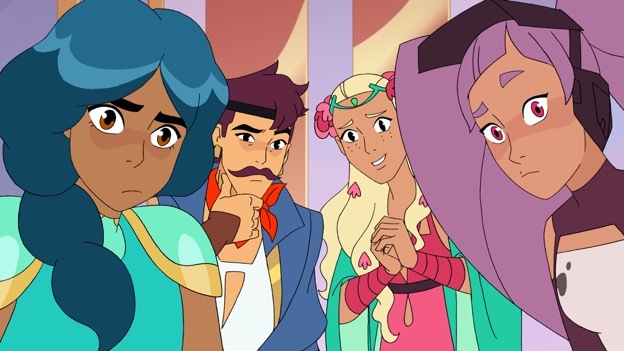 This was a beautifully animated, wonderfully written and brilliantly executed re-imagining of She-Ra and her cast of colorful characters, and I can’t wait to watch more! 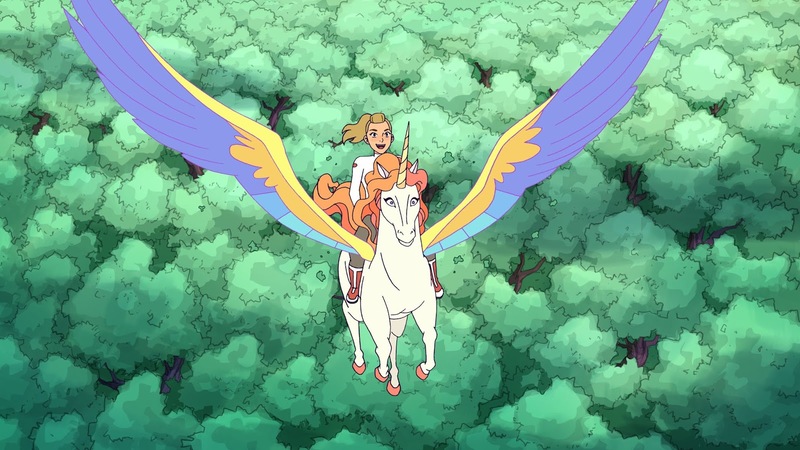 After briefly watching a little of the first episode of She-Ra and the Princesses of Power, I found the show was not something for me. The animation was very nice, reminding me of the Netflix original series Voltron: The Legendary Defender. The voice acting from what I heard seemed spot on. While this isn't a show for me, I can definitely see this being a favorite among a lot of people, just not my cup of tea. Like Brant and Mike, I am a child of the '80s. I grew up watching He-Man and the Masters of the Universe just like every young boy of our generation, but I also watched She-Ra:Princess of Power. I watched the show because it was an expansion of the Masters of the Universe world and I loved the Rebels and the evil Horde. I never cared that it was aimed at the female demographic, because I thought it had all the action and adventure I got from He-Man. When the new reboot was first announced I was excited thinking we were getting the much anticipated She-Ra version of the 2002 He-Man and the Masters of the Universe animated series. 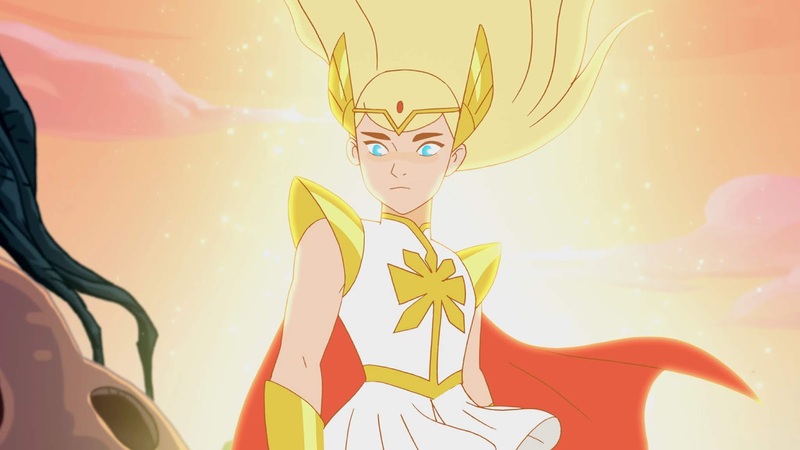 Then I saw the first images and was a little taken aback by them because this wasn't "my She-Ra," but said I would give a shot and go into it with an open mind, and I did. 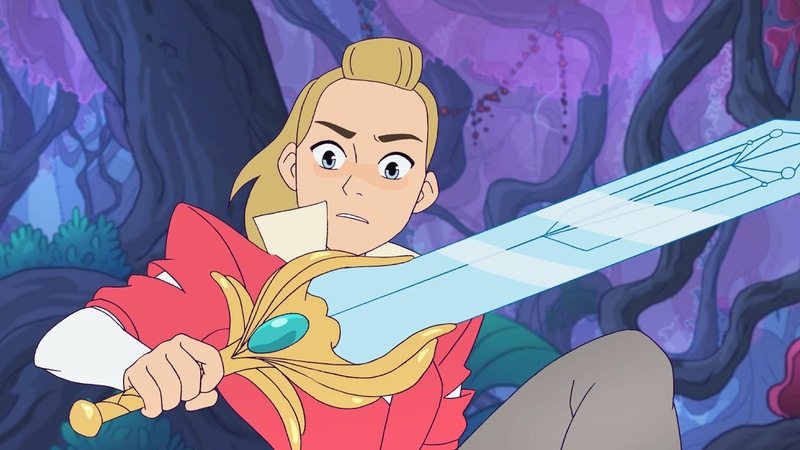 I am glad I did because what I found in She-Ra and the Princesses of Power was a show that visually looked different, but was a bit more updated in tone of the story, but at its heart was 100% true to the original She-Ra I grew up with. The new show has all the action and adventure, with the great rich fantasy-filled adventures, and at its core has a nice moral lesson that doesn't require Kowl or Loo-Kee pointing it out at the end each episode. Like the original, this show can appeal to both young boys and girls as my 11 year-old nephew checked it out with me and enjoyed it as did my 8 year-old Goddaughter. The one thing I think I miss from the original series, though, is the original theme song, I think using it, updating it or doing something like the 2002 He-Man did would have been better for me. Now, that is not to say this show is without its nods to the original. Like the Kowl pillow in Glimmer's bedroom, the show uses these little Easter Eggs and honors the past while forging a bold new path towards the future just like its predecessor. Overall, this series was a blast with great, fun familiar characters, great animation and talented voice acting. The first two episodes serve as a great, fun pilot for the series and really thrusts you into this world and its characters. I can't wait until a who new generation gets to meet them all. 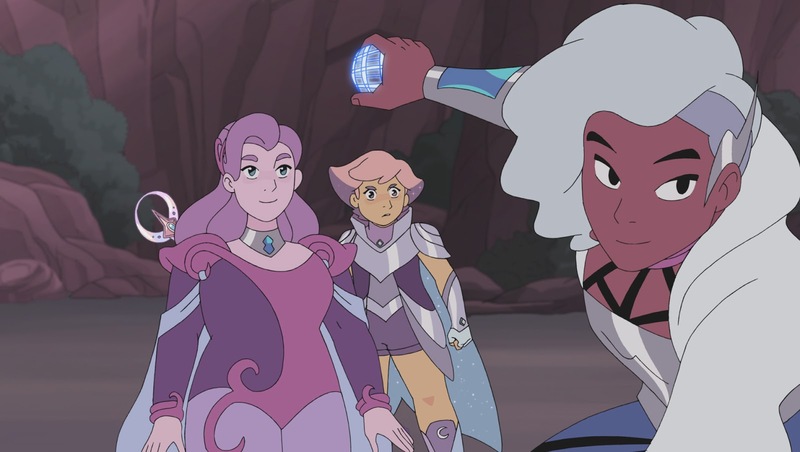 I had the opportunity to watch She-Ra and the Princesses of Power [though] I had very little expectations for the show. Reason being, you may ask? I was a child of the '80s. With shows and movies being rebooted left and right, I honestly am a fan of of the original content. However, after watching these first two episodes of the show I am a fan and already started watching the third episode. What stands out the most to me in this series is the animation and the voice acting. This modern take of this show is going create new fans for a hero that has been around for a very long time. Let's talk about another strong aspect of the show. The supporting cast. They are essential to make a strong show like this one. 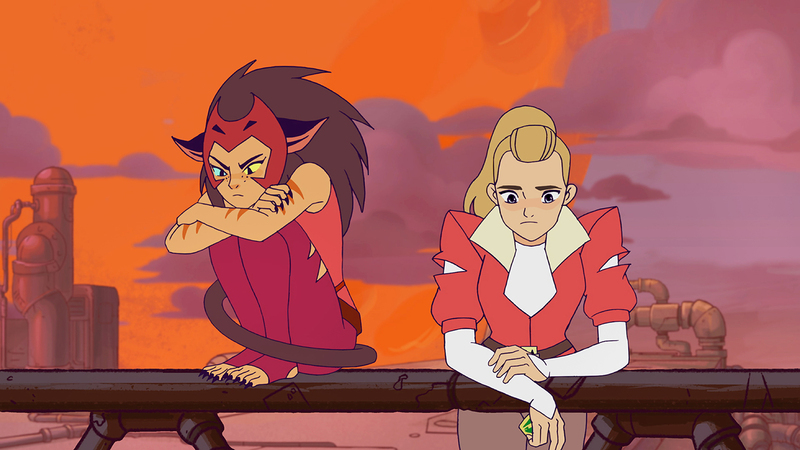 We have Adora, Bow, Glimmer, and Catra and of course She-Ra. They all play an essential part of this show and I fell in love with them almost immediately. Last but not least, I showed this episode to what is probably the main demographic and that is my kids. I have a 7 year-old daughter and an 11 year-old son. My daughter can not get enough of the show and wants to keep watching it. My son, of course, would rather play Fortnite, but he did say he thought the show was cool even if it has Princesses in it. 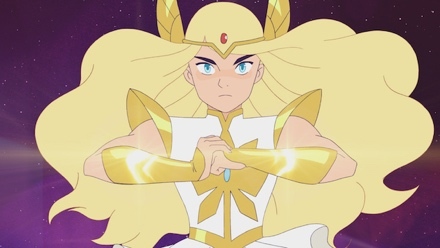 At the end of the day, I feel that She-Ra and the Princesses of Power is a solid show that will attract a new audience and is a great inspiration for kids of all ages. Inspired by the popular ‘80s animated series, DreamWorks She-Ra and the Princesses of Power tells the epic story of an orphan named Adora, who leaves behind her former life in the evil Horde when she discovers a magic sword that transforms her into the mythical warrior princess She-Ra. Along the way, she finds a new family in the Rebellion as she unites a group of magical princesses in the ultimate fight against evil. 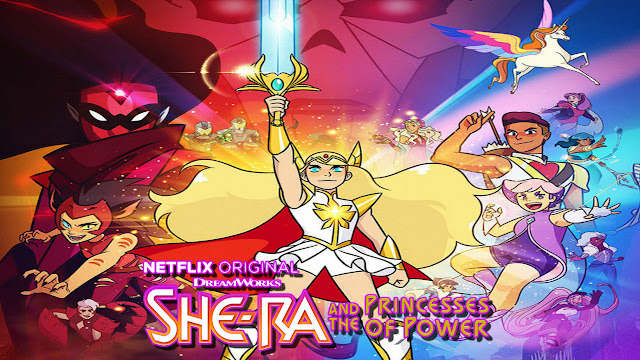 Stay tuned to Comic Frontline for more on DreamWorks She-Ra and the Princesses of Power on Netflix as we discuss the full season on Media Madness Thursday November 15, 2018 at 10:00 PM ET! 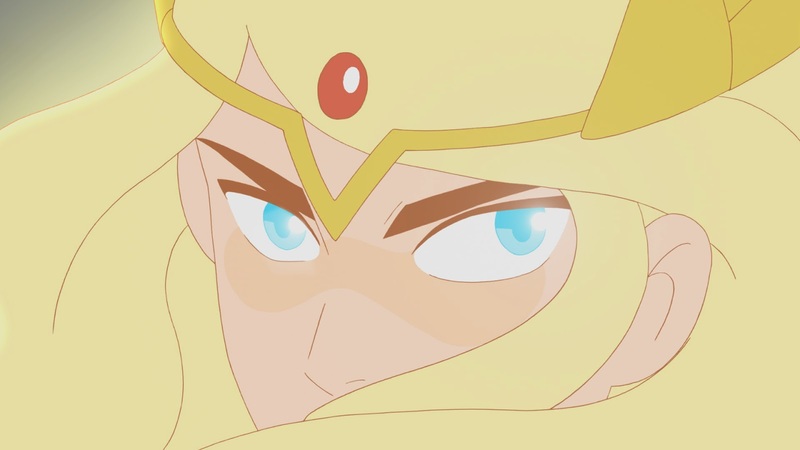 NYCC 2018: Dreamwork's She-Ra And The Princess Of Power Season 1 Trailer! NYCC 2018: She-Ra And The Princesses Of Power Panel & Interviews! 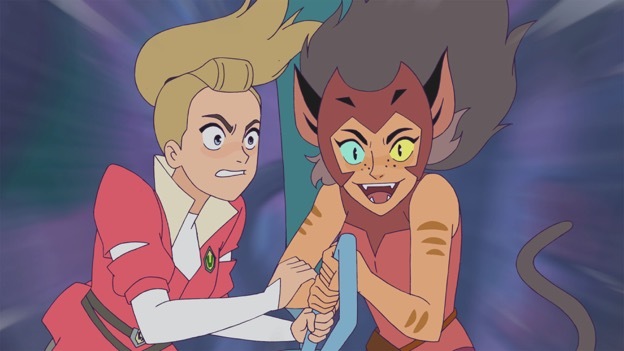 She-Ra Rides Swift Wind To An Earlier Premiere Date & Brings A New Trailer! Let us know in the comments what you think of this DreamWorks Animation Announcement and don't forget to follow us on Twitter for the latest Previews, Reviews, News and Interviews!